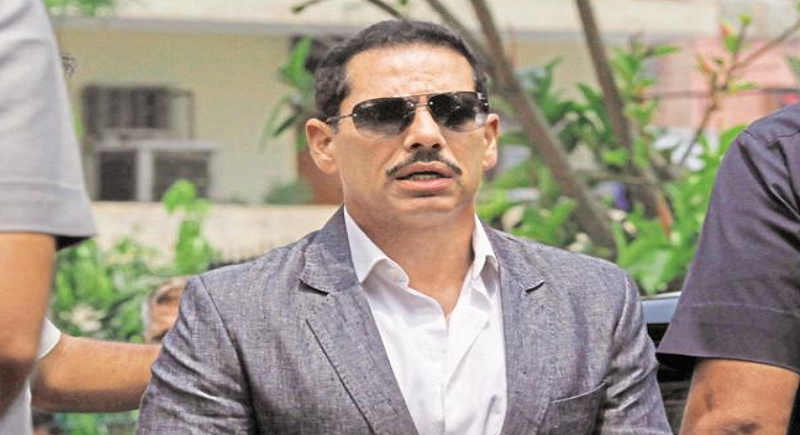 New Delhi, February 2: Rahul Gandhi’s brother in law, Robert Vadra has been granted an interim bail till 16th of February, with a surety amount of Rs 1 lakh. Vadra moved the court, on Friday, seeking anticipatory bail in a money laundering case lodged by the Enforcement Directorate. He however is ordered to be present before the court on 6th of February as well. Vadra had asked the matter to be taken up urgently. Interestingly, anticipatory bail plea by him had been filed after a crackdown on his close aid Manoj Arora. The case relates to allegations of money laundering during the purchase of a London-based property located at 12, Bryanston Square, worth 1.9 million pounds, which is allegedly owned by Vadra. The husband of Congress leader Priyanka Gandhi Vadra, who was recently appointed in-charge of eastern Uttar Pradesh where the Lok Sabha constituency of Prime Minister Narendra Modi is also located, denied the probe agency's allegations as political vendetta in an election year. "This thing has been going on since 2016. Till date, they do not have any evidence. All this is political vendetta. Robert Vadra will come here on 6th of February and he is ready for any investigation," said KTS Tulsi, Vadra's lawyer. "Entire record has been given to them (investigators) years ago and they found nothing wrong," he said.